As many know, the DEC was incredibly proud to launch Dialectic, the new scholarly journal for thought leadership, education and practice in visible communication design. You can purchase Dialectic online via Amazon (the publications are beautifully designed and worth having), and see all the content online via Michigan Publishing. Please enjoy this week’s featured article! 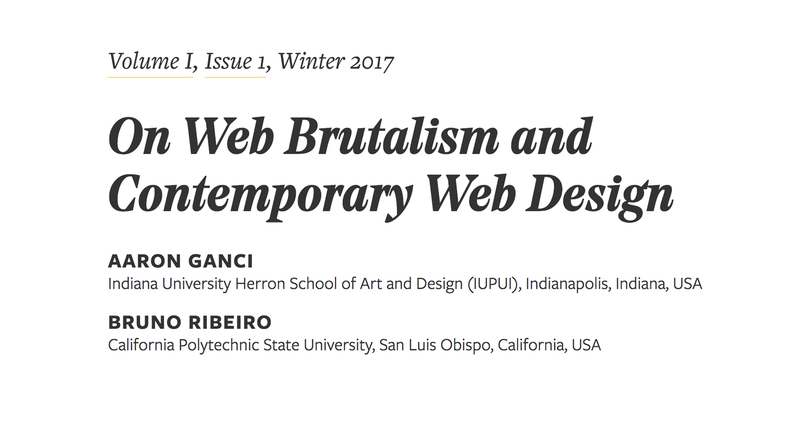 This paper acknowledges and frames the controversial Web Brutalism movement in and around contemporary web-based interaction design, and subsequently raises critical questions about its influence on present and future web design strategies and practices. This inquiry is informed and facilitated by a comparison of two distinct perspectives. Professor Ganci contends that this movement has the potential to have a generally positive affect, and that it is a welcome response to the homogenization of a limited set of aesthetic conventions and practices that have become pervasive across the web. Professor Ganci further argues that because it has become fairly easy to create websites that “fit the mold and that look great,” this type of idle, sans-design-thinking approach will eventually lead to web design failures, as it coerces web designers to engage in formulaic processes that sacrifice real invention and innovation centered on meeting well-understood user and audience needs and desires. The ability to make, rather than design, web-based interactions that are derived from various templates and other one-size-fits-all approaches is posited as a severe limitation, with Web Brutalism posited as a counter to this, and as an effective, relatively new type of catalyzer to web design strategies and tactics. Professor Ribeiro contends that Web Brutalism is nothing more than a momentary dis-traction from a more crucial set of issues contemporary and near-future web designers face, such as usability, scalability, adaptability, and, especially, broad accessibility. 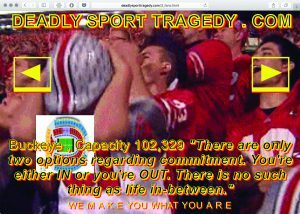 Twenty-plus years into its development, the web is still fairly inaccessible to people who have physical disabilities, or who must access the internet through slow connections and underpowered devices, or who have limited access to internet connectivity or electricity. This paper raises questions regarding perception, usability, effective communication, meaningful innovation, and what added and evolved responsibilities designers should assume in the context of contemporary web design. The discourse that has been initiated here needs to continue in order to reveal the expansive potential of design across the web.